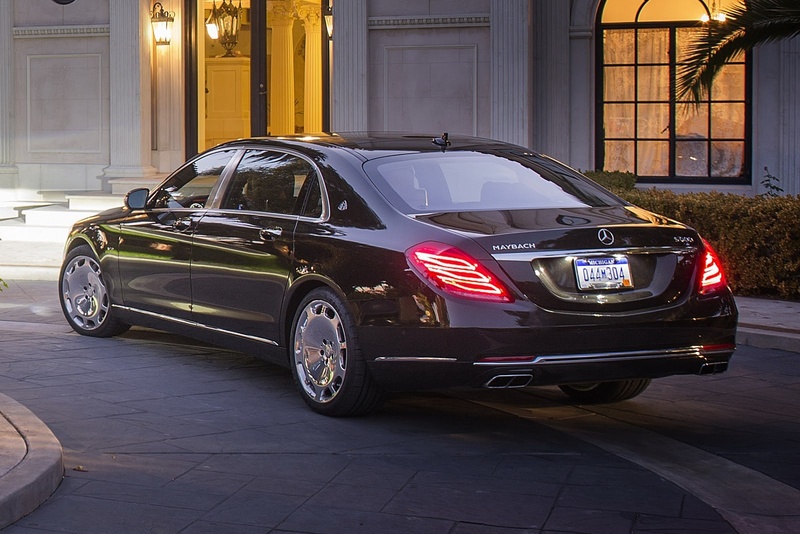 Want the ultimate luxury sedan, when even an “ordinary” Mercedes-Benz S-Class won’t do? The Maybach version may be just the ticket. And now Mercedes has luxed it up even further. 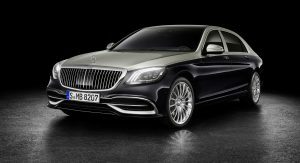 Set to debut at the 2018 Geneva Motor Show next month, the updated Mercedes-Maybach S-Class gets a restyled grille, two-tone paint options, a fresh set of wheels, and additional interior treatments. That new grille is inspired by pinstripe suits, and draws from the nose on the rather stunning Vision Mercedes-Maybach 6 coupe concept that debuted at the Pebble Beach Concours d’Elegance in the summer of 2016. The two-tone exterior finishes come in nine different combinations, and ushers in a new double clear coat applied by hand to make the dark colors shine even brighter. New 20-inch wheels come standard, and there are three new versions on offer as well – including the ones we first saw on the S650 Cabriolet. Those fortunate enough to buy one will also be able to spec two new interior color combinations: armagnac brown with black, and savanna beige with black. An array of top-stitching choices are also on offer in copper, gold, and platinum tones, along with a new Designo Magnolia trim package. Daimler reports having already delivered over 25,000 Maybach S-Class models around the world since their launch three years ago. Last year, one in every ten S-Class models was ordered in Maybach spec. Look for the 2019 models to reach US dealers late this summer in both S560 4Matic and S650 V12 specifications. With 463 and 621 horsepower on tap, respectively, they boast 0-60 times of 4.8 and 4.6 seconds. But while customers at this level clearly expect the luxury of instant acceleration, the Maybach S-Class is clearly about more than straight-line performance. This pin-stripe grille and two tone color make it look like the old Maybachs, which is exactly what’s not good with this restyle job. Completely disagree. 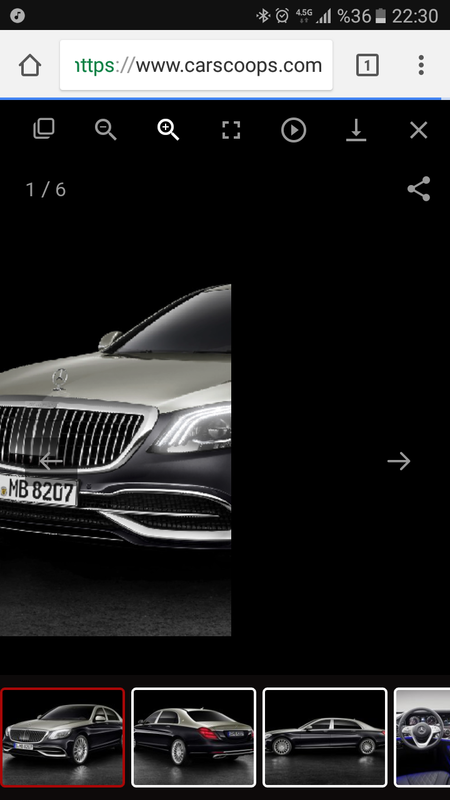 What disappoints me about the current Maybach is the fact that it’s just a long S Class with Maybach badging (hell they even gave the Maybach’s grille to the regular S Class range for the current face-lift). While this small refresh is still very much an S, the Maybach 57/62 inspired grille and two-tone paint options will help to better differentiate itself from the regular models. A Maybach doesn’t deserve plastic wheels bought at a fleamarket. Put something nice on there FFS! Two tone painting well known from Rolls Royce looks nice on them because It is dictated by element’s and curves of the body. On Mercedes it looks like it’s ust put to some height. When copy-cats aim to enter the elite realm and make themselves comparable, yet do not know the origin or measure of their ways, this happens often. MB is not Bentley nor RR comparable-end of story. Thanks for pointing that out, I found it odd on the last Maybach too. 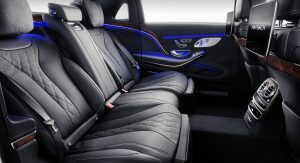 The Maybach should’t be a top-of-the-line S Class, it deserves it’s own identity, even if they do what Toyota does with the Camry and Lexus ES, just reskin the thing and give it a slightly different interior. Hell, Mercedes already does this with the E Class and CLS. You’d think that an extra $75,000 would justify that level of attention and differentiation, especially since 10% of all S Class orders are Maybach’s. That’s why they’re rolling out more models under Mercedes-AMG. Maybach just isn’t profitable on its own and they would end up offering $100K in rebates on new inventory before killing the ultra-luxury brand like they did in 2013. Well considering they already did that and it didn’t work, they’re doing it the right way this time. 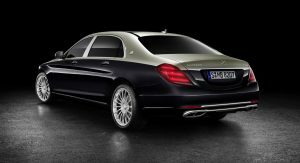 Now the next S-Class and it’s Maybach derivatives may be more differentiated more, but I doubt it will be a totally separate model. At last, better differentiation; at least on the exterior. Love it. This looks more upscale and more individual than the many S-Classes out there. What always bugged me about the original W222 Maybach S-Class was that it looked like a XXL LWB S-Class with different wheels. This looks unique, classy and really expensive. Yeep,that happened to me also…. This is not the ‘stuff’ of any of my dreams. Your dreams are dominated by the Chrysler Imperial, isn’t it? but i appreciate the effort to make it distinct from a regular s class. This is without a doubt a beautiful car. I just don’t understand why it is made so aerodynamic, which I guess restricts what a designer can do. If you can afford a car like this and the fuel to power it, why would you possibly compromise style for air flow? Why did they replace the wheels? 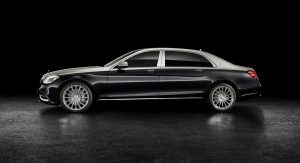 The old ones looks more classy and gets along very well with the rest of Maybach aura. These new wheels looks like they’re from aftermarket. And the two tone paint doesn’t look well, because they didn’t make a separate line on its shoulder area. It only makes it a Rolls or Bentley wannabe, and I don’t think it’s good. The pre-facelift version looked flawless in my opinion. It successfully differentiate itself from “lesser” S-Class, and able to exude ultra-luxury aura without looking it’s trying too much. Mercedes Maybach is not Rolls nor Bentley, so it doesn’t need to become their copycats, for it already has its own segmentation. If you want to buy a Rolls, buy a Rolls, not a Maybach that tries to emulate it. 2-tone color and grill don’t work at all on the Maybach. The radar sensor ruins the grille. Interior lighting by Pep Boys. I was a huge fan of the Maybach 57 and 62, and one of the major reasons was the two-tone paint scheme it had. This, on the other hand, just doesn’t look right. It doesn’t look right on here, and it doesn’t look right on the Range Rover Autobiography. 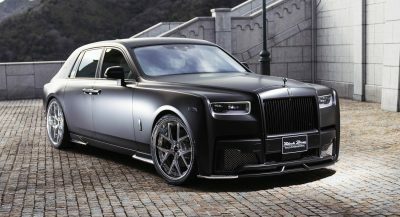 It looks forced, and the design of this car, unlike the Rolls Royce Ghost, was not designed around having a two-tone color scheme. 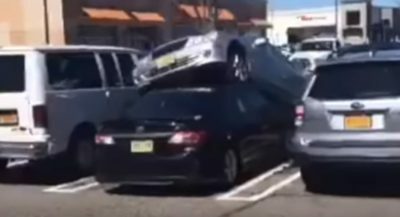 I hope Mercedes fixes this with its upcoming 2019 S-class redesign. I wonder why it didn’t came out like that from the start.